I don't know about you, but I have started to think about my health resolutions for next year. in 2018 I want to drop a dress size and start back to Zumba, as well as taking up another form of exercise to ring the changes, and not get bored with fitness. Rather than getting into the 'dieting' mindset, I think it's healthier to think of it as a lifestyle change, moving more, eating healthier food, looking at portion size yet not depriving myself. I know it all, I just need to put it into practice! So here is my health and fitness wishlist for Christmas 2017. Years ago I used to visit my local swimming pool, and I have been thinking of taking up swimming again. 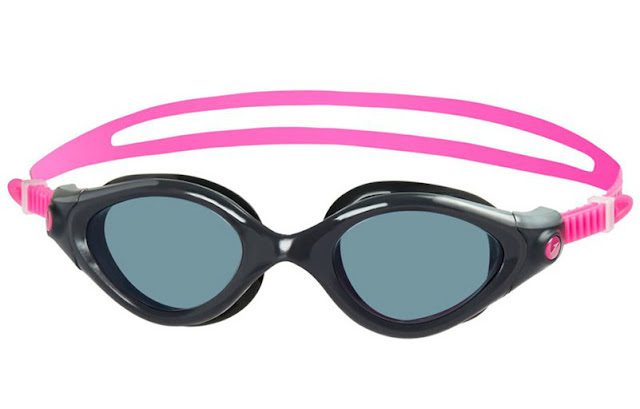 These swimming goggles from Speedo, fit your face well providing a tight fit to prevent water getting in, whilst still being comfortable on. I have chosen this swimsuit as it's chlorine resistant and looks like it would stay in place through many lengths of the pool. The pattern along the side is pretty and helps to visually shape the waist, so it's flattering too. It also has a shelf bra for bust support. I love this hooded top and matching leggings from Marks and Spencer. 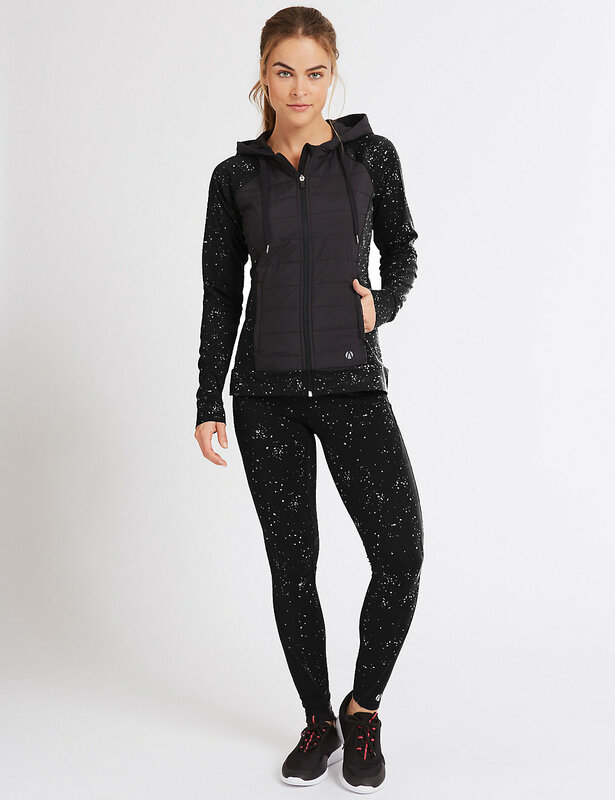 The reflective print is perfect for exercising outdoors and the padded hoody made of Thinsulate technology will keep you warm. Both items are breathable and have odour control built in to keep you fresh as you exercise. 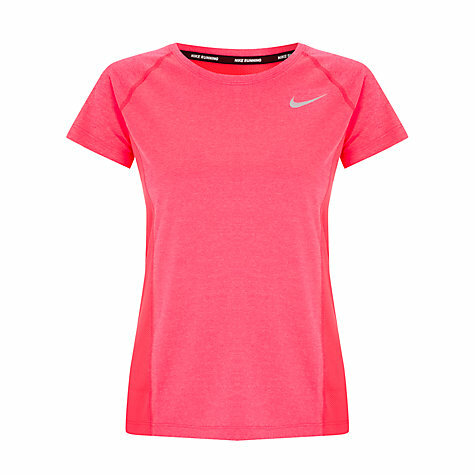 This breathable top by Nike with mesh panels has smooth flatlock seams and reflective elements. Simple, bright and fun, it's simply the perfect t-shirt for exercising and also looks great when worn with jeans. These Nike training shoe is perfect for cross training, if you are doing a variety of sport. You know you can always rely on the Nike brand for quality and I adore the black and pink design. A very stylish pair of trainers. 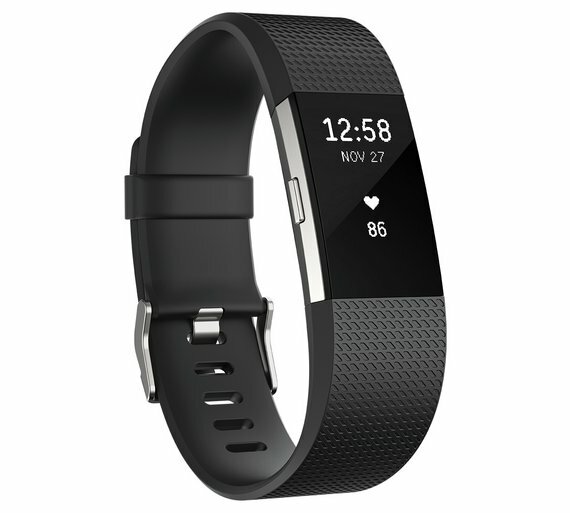 The Fitbit Charge 2 is a heart rate and fitness wristband. Tracking steps runs, cycle rides, calories burned and heart rate amongst other things, the band is connected to GPS and tracks your activity all day. Reminders to move are brilliant for couch potatoes like me. If you haven't got a fitness tracker like this I think you need one in your life if you are looking to motivate yourself to take more exercise. So here is my health and fitness wishlist for Christmas 2017. Do you have any health and fitness goals for next year? What items are on your health and fitness wishlist for Christmas or into the New Year? Having new workout gear really is motivating! Swimming is my favourite form of exercise so I can definitely vouch for the importance of a good pair of goggles, mine are from SwimFreak and I love them! My fitness goals for 2018 are to stick to a good home workout routine, fingers crossed I can do it! I love having new workout gear! Swimming is such a great form of exercise, when I was a child I used to go swimming every Sunday in the local pool. 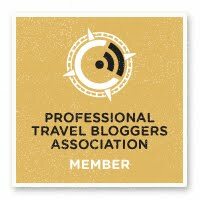 An excellent list! I've asked Santa for a new FitBit and I love the M&S outfit, really stylish but it looks comfortable to exercise in too. Hope Santa brings you the FitBit! I love that pink running top. I should get a Fitbit too although I'm not sure it has an 'inert' setting! 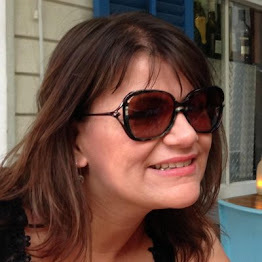 That pink top is rather cool, and I know what you mean about the FitBit. I think it has a reminder setting, but that sounds like a nagging partner lol. Great list - it's my intention to get back to the gym again in January so I'll be in need of some new sportswear and equipment. Good luck with your resolutions Ali. I nee to add some workout gear for sure to my list. I love the shoes, and I need some new shirts! Hope it has inspired you! I think swimming is such a great exercise, the water seems to be supportive and there is less risk of joint damage than exercises such as running.